Burnaby Property Management by Burnaby Property Manager MacPherson Real Estate Ltd. The most important decision you'll make for your real estate investment portfolio is the company to manage it. Real estate investors from all points of the globe have been entrusting their Vancouver property portfolios to MacPherson Real Estate Ltd. From North America to Asia, the United Kingdom and all points in between, our proven 20 years of experience and unmatched client satisfaction give you the professional property management services you need and the customer care you deserve. At MacPherson Real Estate Services, your investments are our business. We manage your portfolio as it if was our own. With service and experience that sets an industry bar, you can depend on us to preserve your investment and support you in realizing the long-term value of your property. We take it personally. We provide complete Property Management, Leasing and Real Estate Services for Residential and Commercial Properties. 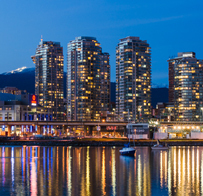 We service locations in Downtown Vancouver, Vancouver Westside, Vancouver Eastside, North Vancouver, West Vancouver, Burnaby, New Westminster, Port Moody, Port Coquitlam, Coquitlam, Pitt Meadows, Maple Ridge and the Fraser Valley. We are a fully licensed Property Management and Real Estate brokerage firm, providing specialized services to suit any type of real estate investment. Real Estate Investment is one of the best vehicles available to help achieve financial independence and help secure your retirement certainty by providing income and capital growth. No other investment will provide the advantage that real estate does. If you are thinking of building a real estate investment portfolio or need help growing an existing one, please give us a call so we can provide you with excellent service. If you're looking for space to lease look at our Current Rental Listings and our Past Rental successes. If you would like to Contact Us please send us an email or give us a call at 778-882-0211. Keep up todate with market information with our Blog and use our links page to link to local services. Building your equity through real estate is a proven financial strategy. Hiring a professional property manager is a smart business decision. Spans over 3,100 offices in 50 countries with 83,000 associates worldwide. Gives you access to international markets, offering you the best opportunities to grow your portfolio and compete on a global real estate level.